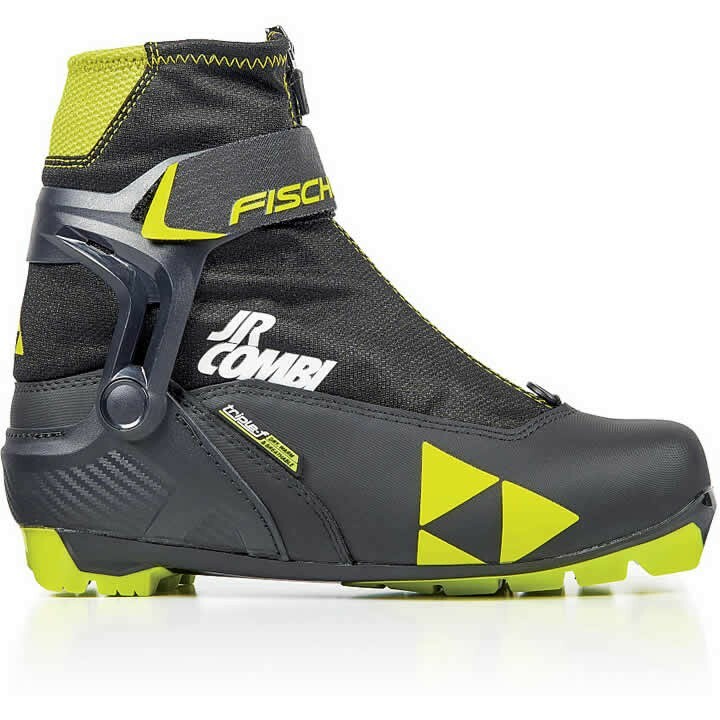 The Fischer Jr Combi Boot is an extremely versatile boot for young skiers who ski both classic and skating techniques. A stable cuff and improved heel cup are supportive enough for efficient skating, while the flexible TURNAMIC® sole setup allows easy straight ahead technique. The Triple-F Membrane keeps water and snow from entering boots, while allowing excess heat and moisture vapor to escape. The climate inside the boot stays warm and dry, no matter what the outside climate is. Inside the boot, a light, thin layer of water-repellent insulation material offers additional thermal protection in the forefoot and toe area to keep the skiers warm as they glide through the snow. TURNAMIC® Performance Junior: Robust and flat construction for sporty, classic style skiing enables a longer gliding phase through easier balance. 2K-Desmopan® material mix for improved performance. Junior Fit Concept: The right fit for all requirements. Whether it's shaped for the female foot with the comfort or race version, customized for the feet of young skiers, meeting the comfort requirements of all-rounders or for direct power transfer in racing; the Boot Fit Concept with special lasts is the answer to all the different needs and morphologies of the various consumer groups. Ankle Support Cuff ASC3: Stable at the side, movable forwards; newly developed ankle support with pivot joint for optimum power transfer, individually adjustable thanks to Powerstrap. Triple F Membrane: Special membrane ensures that conditions inside the boot are perfect: dry, warm, and breathable. Injected Exterior Heel Cap: Good heel cradling and robust protection all in one. Exterior heel cap for even better power transfer. Easy Entry Loops: Practical entry loops and wide-opening designs guarantee that boots can be put on/ taken off comfortably.